Extreme metal titans ARCH ENEMY will return to North America this July/August to headline the 2015 installment of “Summer Slaughter”! This tour will mark the band’s second North American run on this album cycle – but the first stateside trek to feature new guitarist Jeff Loomis. 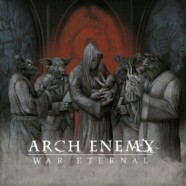 See below for all ARCH ENEMY dates!